Yesterday, the Republican-dominated Indiana General Assembly easily overrode Republican Governor Mike Pence's veto of a bill approving retroactively a tax in two Indiana counties that had continued to be collected despite provisions sunsetting those taxes. It was a glimpse of the future for the new Governor. In 2012, Governor Pence campaigned as a small-government conservative, someone who would hold down the state's spending and cut taxes and regulation. But what he is soon to find out, if he hasn't already, is that will be a piece of cake compared to what is going on in local governments throughout Indiana. Taxes and fees (and borrowing) at the local level are soaring. Much of the revenue derived from local taxes is being diverted for "economic development," which often is little more than corporate welfare handed out to well-connected political contributors. 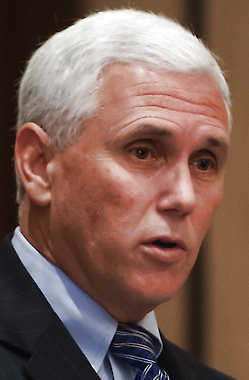 Governor Pence faces a couple challenges. First, philosophically he is a strong supporter of home rule. The problem though is that corporate interests in many communities increasingly dominate local government as they receive more and more taxpayer-funded subsidies for their private business ventures and dutifully return much of that money to the politicians in the form of campaign contributions. They also offer the prospect of high-paying private sector jobs to those making the decision on local government contracts. Unlike at the state level, there is no local revolving door so high-level local government appointees often go from negotiating a contract with a company to working for that company. The laws provide little in the way of protection for local taxpayers. For example, there essentially is no limit on companies doing business with local government making campaign contributions to politicians making decisions on contracts, no limit on those businesses offering jobs to government officials, no limit on the length of contracts, no limit on selling off assets and mortgaging assets that will deprive future generations of the dollars needed to provide local government services. Even if Governor Pence remains committed to home rule, he needs to advocate for structural changes that protect taxpayers from the excesses of local government. Finally, as Governor Pence takes his philosophy of small government and low taxes around the state he will find scores of liberal, big spending Republican Mayors who operate with a completely different philosophy. He has those mayors in his own backyard with Indianapolis Mayor Greg Ballard, Carmel Mayor Jim Brainard, and Westfield Mayor Andy Cook. If Governor Pence advocates for changes to the law that limit their ability to tax, raise fees, spend, and borrow, he is likely to encounter resistance within his own party as he did yesterday. But Governor Pence should do it anyway. There is little chance of a Republican primary challenger to a re-election bid in 2016. He doesn't need to make GOP insiders happy. He does though need to increase his popularity with general electorate if he wants to get re-elected in 2016. The way to do that is to stand up for taxpayers who are getting pounded by local tax and fee increases,, most of which money is going to handouts to politically-connected companies. It is a winning political issue. Unlike children, government should be barely seen & not heard. But, look at the Mo- G-damned "culture," where government dominates center stage as an intrusive & uninvited, primary but bad actor, in every facet of what used to be American- life. The elected are vulnerable to meritless narcissism or "star power," wherein they're convinced of their importance, at the exclusion or expense & ultimately disconnect, with those who elected them. Gut check, kitchen cabinets are replaced with echo chambers of "yes men" cashing in on inside connections driving disconnection from those "outside" the club. There is no party of small government. The Republican party is the property of statists, Democrats & so called progressives. Paul, when are you going to figure out the Republicans like the game rigged? They're the ones that rigged it. The first step is to identify what is going on, not philosophically, or generally identifying it as this article does, but particularly for each appointee. Until people figure out that it is their local government appointees that are doing this and exactly how and how much it is costing, this problem won't be solved. We are better than 35 years into the information revolution. The computers are certainly up to the task of organizing the data and spitting it all out by jurisdiction. The problem that remains is figuring out how to get the data entry done. TM: Everything that happens is driven by philosophy; which predisposes & enables good & not so good things to happen. In the case of government, a culture of bloat & abuse have been philosophically enabled. Retroactive corruption in the form of theoretic legislation (adjusting the speed limit post violation) is not acceptable & the logistics are the problem of offending municipalities for those who are citizens & not "customers."